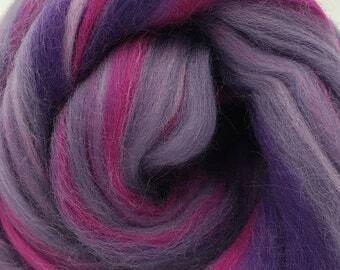 This merino and sparkle blend is ready to spin or felt. 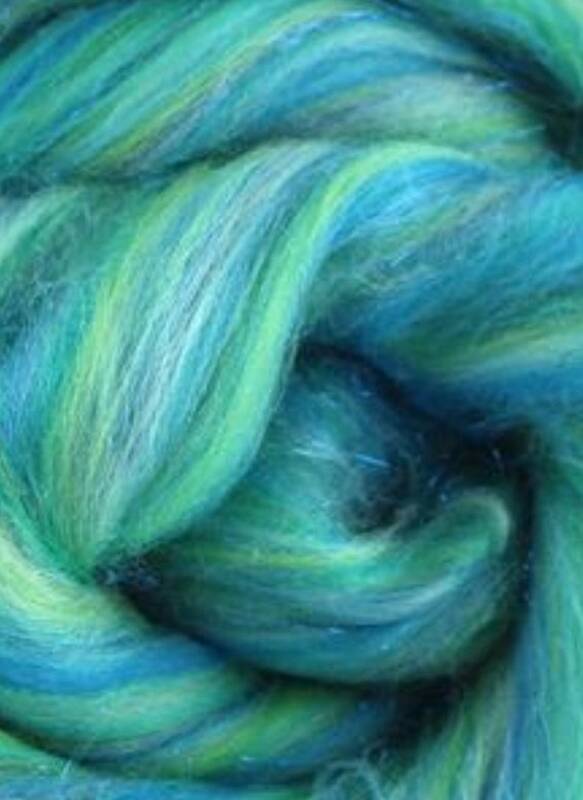 Feel the call of the ocean with soft blues and greens. 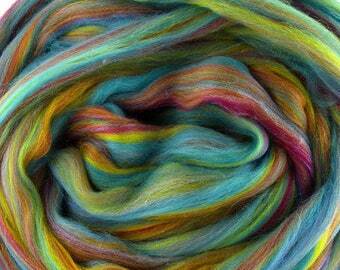 **We aim to photograph our fiber to capture the truest color. Due to monitor or phone displays and lighting, the actual color may vary slightly from how it is depicted.